Fractionated resurfacing offers effective results for reducing fine lines, wrinkles, and softening deep frown lines. It can stimulate collagen growth, improve skin texture, and diminish brown spots, without a prolonged recovery period. The procedure treats specific areas of the skin, leaving surrounding tissue untouched and intact. The result is newer, healthier and smoother skin. Skin becomes restored to a rejuvenated and healthy state. This is a noninvasive treatment and allows patients to resume a normal routine almost immediately. Laser hair reduction is a simple process. The pigment within the hair absorbs light and converts it into heat. The heat is transmitted to thehair follicle and destroys it without damaging the skin. The laser treatments make it difficult for the hair follicle to produce new hair. For optimal results treatments are repeated every 6 weeks. After each treatment, hair growth will become softer and less noticeable. Interested in laser hair reduction? 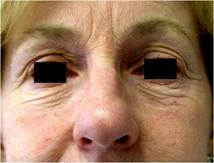 Intense Pulse Light is often referred to as IPL, which incorporates light for photo rejuvenation. IPL diminishes most sun spots, hyperpigmentation, and redness due to broken capillaries. IPL gently evens out skin color, penetrating the dermal skin layers and the light is absorbed by blood vessels and dark pigmentations without damaging the skin.